Want a data-based breakdown of your UESP account(s)? Visit the Dashboard and have a glance beyond the balance. When you log in to Account Access, you can click on the Dashboard button to view various charts with information about your account(s). 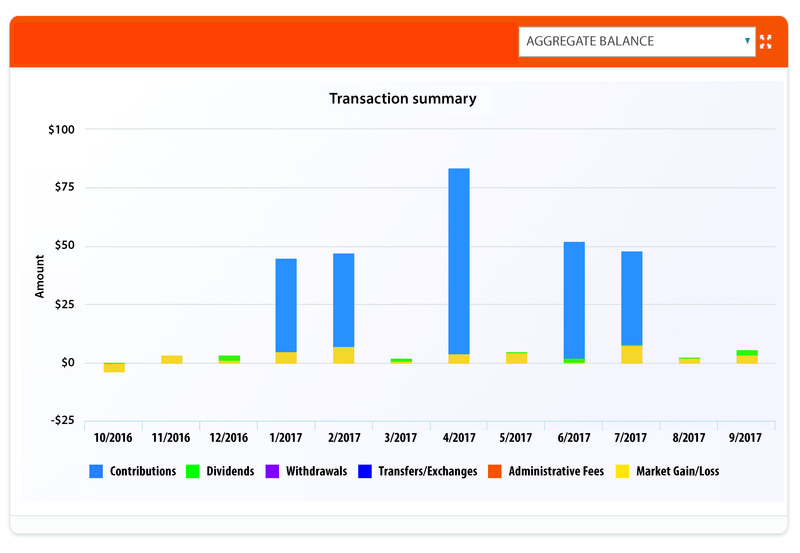 You can view how much value your investment has gained or lost over a certain time period, account value by underlying fund, your investment allocations, and a 12-month account activity summary that includes contributions, dividends, withdrawals, transfers/exchanges, administrative fees, and market gain/loss. If you have more than one account, you can view them one at a time or in aggregate.